"Wherever You Go, We Go"
By: Coachmen RV & Forest River Inc.
Leader to the Great Outdoors!! You Can Trust, Since 1964! Triple Slide, Bunkhouse Floor Plan with Mid Bunkroom, Sleeps 6, Kitchen Island, Dual Air Conditioners, 50" LED TV, Fireplace, 4-Point Auto Leveling, Weather Shield Package, New Floorplan! That You Can Trust, Since 1964! Triple Slide, Rear Living Room Floor Plan, Sleeps 4, Kitchen Island, Queen Bed, Fireplace, 55" LCD TV, Stainless Steel 10 cu. ft. Refrigerator, 4-Point Auto Leveling, Outside Kitchen with 50" HDTV, 2- Air Conditioners, Weather Shield Package, 1/2 Ton Towable - 9,167lbs. Dinette/Bed, 22" Digital TV/DVD Combo, Sleeps-2, Awning, Silver Greyhound Smooth Aluminum Exterior, Front/Rear Stabilizers, 13,500 BTU Roof Air Conditioner, Lite Weight, Easy to Tow, Only 1,692 lbs., 13' 5" Overall Length!! Bunkhouse Floorplan, Dinette/Bed, 22" Digital TV/DVD Combo, Sleeps-4, Awning, Smooth Aluminum Exterior, Front/Rear Stabilizers, 13,500 BTU Air Conditioner, Lite Weight, Easy to Tow, Only 2,088 lbs., 17' 6" Overall Length!! Rear Bathroom Floorplan, Dinette/Bed, 22" Digital TV/DVD Combo, Sleeps-4, Awning, Smooth Aluminum Exterior, Front/Rear Stabilizers, 13,500 BTU Air Conditioner, Lite Weight, Easy to Tow, Only 2,840 lbs., 20' 8" Overall Length!! 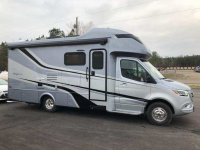 Rear Bathroom Floorplan, Dinette/Bed, 32" TV, Sleeps-4, Awning, Smooth Aluminum Exterior, Front/Rear Stabilizers, 13,500 BTU Air Conditioner, Grand Turismo Package, Extreme Sport Package, Lite Weight, Easy to Tow, Only 2,840 lbs., 20' 8" Overall Length!! 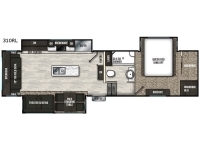 Rear Bathroom Floorplan with Outside Kitchen, Dinette/Bed, 32" TV, Sleeps-4, Awning, Smooth Aluminum Exterior, Front/Rear Stabilizers, 13,500 BTU Air Conditioner, Grand Turismo Package, Lite Weight, Easy to Tow, Only 3,775 lbs., 23' 11" Overall Length!! Dinette Slideout, Sleeps-4, Rear Bath Floorplan, Smooth Aluminum Exterior, Front & Rear Stabilizers, 13,500 BTU Air Conditioner, Lite Weight, Easy to Tow, Only 3,425 lbs.!! Dinette Slideout, Sleeps-6, Bunkhouse Floorplan, Smooth Aluminum Exterior, Front & Rear Stabilizers, 13,500 BTU Air Conditioner, Lite Weight, Easy to Tow, Only 3,215 lbs.!! Dinette Slideout, Sleeps-6, Bunkhouse Floorplan, Outside Kitchen, Smooth Aluminum Exterior, Front & Rear Stabilizers, 13,500 BTU Air Conditioner, Lite Weight, Easy to Tow, Only 4,200 lbs.!! Dinette Slideout, Sleeps-6, Bunkhouse Floorplan, Outside Kitchen, Smooth Aluminum Exterior, Front & Rear Stabilizers, 13,500 BTU Air Conditioner, Lite Weight, Easy to Tow, Only 4,500 lbs.!! By: Travel Lite MSRP $45,120.00* Call or Email For Best Price! By: Travel Lite MSRP $44,020.00* Call or Email for Best Price! Bunkhouse Floor Plan, Sleeps 7, Coleman Lantern LT & Tech Package, Power Patio Awning with LED Lighting, Light Weight & Easy To Tow!! Only 3,205 lbs., Industries Best 3-Year Structural Warranty!! Coleman Legendary Quality and Innovation!! The First Name In Camping!! Large Slide, Bunkhouse Floor Plan, Sleeps 8, Coleman Yukon Package, Power Patio Awning with LED Lighting, Entertainment Center, Outside Kitchen, Bayside Decor, 1/2 Ton Towable!! Only 5,421 lbs., Industries Best 3-Year Structural Warranty!! Coleman Legendary Quality and Innovation!! The First Name In Camping!! Large Slide, Bunkhouse Floor Plan, Sleeps 8, Coleman Yukon Package, Power Patio Awning with LED Lighting, Entertainment Center, Outside Kitchen, Macinac Decor, 1/2 Ton Towable!! Only 5,421 lbs., Industries Best 3-Year Structural Warranty!! Coleman Legendary Quality and Innovation!! The First Name In Camping!! 13' Garage Length, Toyhauler Floor Plan, Sleeps 6, Coleman Yukon Package, Power Patio Awning with LED Lighting, Entertainment Center, Mackinac Interior Decor, 1/2 Ton Towable!! Only 5,514 lbs., Coleman Legendary Quality and Innovation!! The First Name In Camping!! Large Slide, Bunkhouse Floor Plan, Sleeps 10, Coleman Yukon Package, Power Patio Awning with LED Lighting, Entertainment Center, 1/2 Ton Towable!! Only 5,871 lbs., Industries Best 3-Year Structural Warranty!! Coleman Legendary Quality and Innovation!! The First Name In Camping!! Large Slide, Bunkhouse Floor Plan, Sleeps 10, Coleman Yukon Package, Power Patio Awning with LED Lighting, Entertainment Center with 43" LED TV, Outside Kitchen, 1/2 Ton Towable!! Only 6,515 lbs., Mackinac Decor, Industries Best 3-Year Structural Warranty!! Coleman Legendary Quality and Innovation!! The First Name In Camping!! Large Slide, Bunkhouse Floor Plan, Sleeps 10, Large U-Shaped Dinette, Private Bunkhouse, Entertainment Center, Coleman Yukon Package, 1/2 Ton Towable! Only 6,231 lbs., Industries Best 3-Year Structural Warranty!! Coleman Legendary Quality and Innovation! The First Name In Camping!! 10' Garage Length, Large Slide, Toyhauler Floor Plan, Sleeps 8, Coleman Yukon Package, Power Patio Awning with LED Lighting, Entertainment Center, Heated & Enclosed Underbelly, Ironwood Interior, 1/2 Ton Towable!! Only 6,838 lbs., Coleman Legendary Quality and Innovation!! The First Name In Camping!! Double Slide, Bunkhouse Floor Plan, Sleeps 12, Large U-Shaped Dinette, Private Bunkhouse, Entertainment Center, Outside Kitchen, Mackinac Interior Decor, Coleman Yukon Package, 1/2 Ton Towable! Only 7,400 lbs., Industries Best 3-Year Structural Warranty!! Coleman Legendary Quality and Innovation! The First Name In Camping!! Double Slide, Bunkhouse Floor Plan, Sleeps 12, Large U-Shaped Dinette, Private Bunkhouse, Entertainment Center, Outside Kitchen, Lakeside Interior Decor, Coleman Yukon Package, 1/2 Ton Towable! Only 7,400 lbs., Industries Best 3-Year Structural Warranty!! Coleman Legendary Quality and Innovation! The First Name In Camping!! Large Slide-out, Rear Living Room Floor Plan, King Island Bed, Aluminum Framing, Smooth Fiberglass Sidewalls, Barreled TPO Walkable Roof, Sleeps 6, Shadow Cruiser Value Package, 1/2 Ton Towable!! 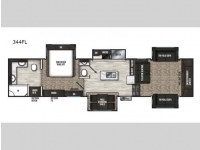 Large Slide-out, Bunkhouse Floor Plan, Aluminum Framing, Smooth Fiberglass Sidewalls, Laminated Crowned Roof, Outdoor Kitchen, Encore Interior Decor, BBQ Grill, Sleeps 10, Shadow Cruiser Value Package, 1/2 Ton Towable!! Only 5,445 lbs.